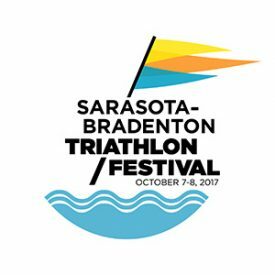 COLORADO SPRINGS, Colo. — USA Triathlon today announced the schedule for a weekend of elite, collegiate and age-group races from Oct. 7-8 in Sarasota, Florida, at the Sarasota-Bradenton Triathlon Festival. The weekend of racing will be headlined by an International Triathlon Union World Cup competition, which will also serve as USA Triathlon’s Elite National Championships. Age-group races in both draft-legal and non-draft formats will be held in conjunction with the elite competitions. All events are set to take place at Nathan Benderson Park, a 600-acre community park operated by the nonprofit 501(c)(3) organization Suncoast Aquatic Nature Center Associates, Inc., (SANCA). Registration is now open for all age-group races. To participate in age-group races, athletes must be at least 15 years of age by Dec. 31, 2017.